exhibition at the Embassy of Sweden in Tokyo. We love patterns! And we adore Japanese design and craftsmanship! Inspired by beautiful traditional Japanese patterns we made hand-drawn patterns and printed them on huge textiles. 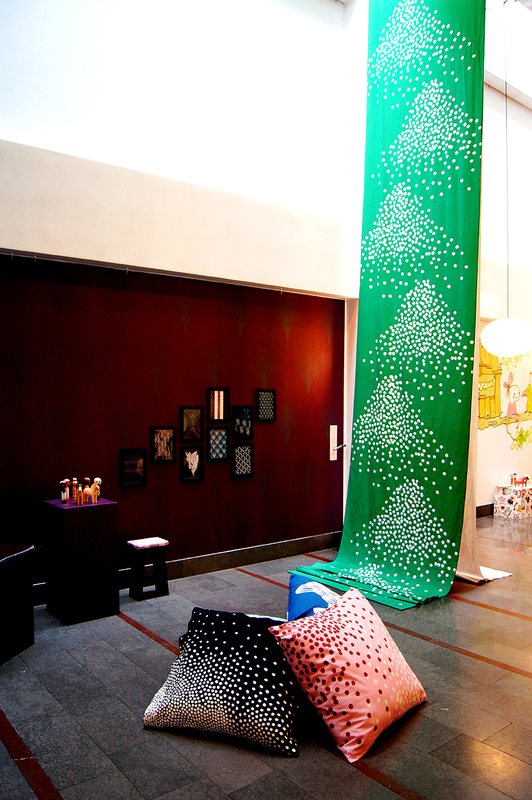 We flew to Tokyo and made a big exhibition at The Embassy of Sweden. Stockholm Graphic Interiors is a collaboration between Pompe Hedengren, Anna Hörling and Stina Wirsén.